Remarketing is a powerful online marketing technique which lets you show ads to people who have been a recent visitor on your website. This is an effective medium to promote the brand and stay in touch with your past audience. Recent visitors are more likely to return to your websites as they are already aware of your brand. 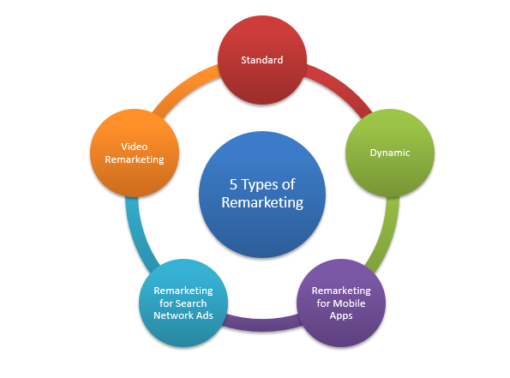 More on what remarketing is What is Remarketing?. Remarketing requires placing remarketing code also known as a tag on your website. Through this tag, website visitors get added to your remarketing list and a cookie is added to visitor’s browser. Each browser cookies had a unique ID which gets added on your remarketing audience list. Remarketing code can be placed on individual pages on your website and you can track the visitors on those pages by multiple remarketing lists. Each list can have its own matching criteria. One needs to be careful while designing the ad as it must entice the users to go back to the website. The content on the ad must be relevant for the audience. For example, you can maintain two separate lists, one for tracking people who viewed the product and other for visitors who actually made the purchase. Standard Remarketing: As the name suggests, it’s a traditional form of remarketing which displays generic ads to the visitors. Anyone who visits the website but leaves due to some reason without performing the required action is targeted with ads of the website while he surfs on the internet. It’s like reminding the user that you were interested in my website. Usually, all recent visitors are targeted in standard form of remarketing. Traditional form is beneficial when you are aiming for brand building and gaining recognition among the audience. Dynamic Remarketing: It’s an advanced form of traditional remarketing which targets recent visitors with ads of products which they viewed on your website. So, it’s a customized remarketing which knows what to show and to whom. A dynamic version of remarketing tends to bring better results. Click through rate and conversion rate goes considerably higher with dynamic remarketing campaigns. Setting up this campaign isn’t as easy as the standard one. You require a Google Merchant Centre account which must be linked with Google Adwords account. Dynamic remarketing tag needs to be placed on the website which contains Product ID, Type, and Product Value. Matching these parameters, the visitors are added to the appropriate remarketing list. Once set up correctly, you are almost certain to achieve a higher return on investment. 1 Is a default version of remarketing which show generalized ads to your recent audience Shows much more customized ads, usually the products which are recently surfed. 2 Can be an effective announcement tool especially when it comes to remarketing to all users. Converts potential shoppers into buyers, luring them to go back to the website by displaying items they showed interest in. 3 Being more generalized form of remarketing, it doesn’t provide as effective results as Dynamic remarketing. Has better CTR and conversion at a lower cost. 4 It isn’t cost and time effective to remarket everyone who had visited your website. More personalized marketing results in better ROI. Standard Remarketing : Display ads to visitors as they browse the Display Network websites and use applications from that network. Dynamic Remarketing : Show dynamic ads to visitors with the products and services they have seen on your website while they browse the Display Network websites and use applications from that network. Remarketing for mobile apps : Show ads to users who have used your mobile app or website while using other mobile apps or browsing other mobile websites. Remarketing lists for Search Network ads: Show ads to visitors as they search for what they need on Google after they leave your website. Video Remarketing : Show ads to users who have interacted with your videos or YouTube channel while using YouTube and watching videos, websites, and Display Network apps.